Another Easter come and gone. I always felt like it was a long run and an uphill climb for a parish priest through Lent to Easter. There was some Easter running for Mary Magdalene, Simon Peter and John, too—read some more thoughts on the subject here. Then comes the joy and release of the lovely Eastertide easy peddling downhill run to Pentecost and summer. Downhill was good because, once Easter was done, I was often spent and would be running on empty for a few days. 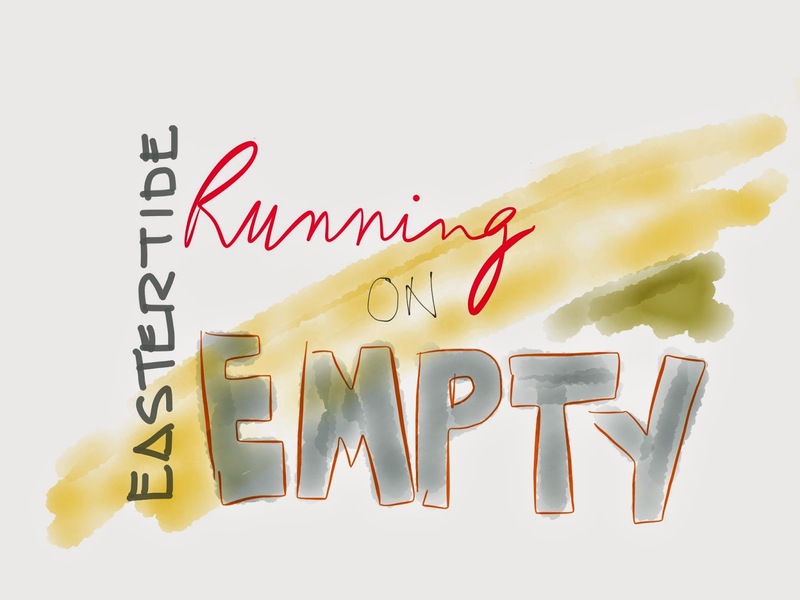 Running on empty isn't necessarily a bad thing, as it turns out. Christians have been running on the reality of that empty tomb for over two thousand years—more thoughts on that here. I read somewhere that monotony could be a problem in clergy life. The same seasons, stories and readings year after year could wear a cleric down. Apart from the occasional worry about coming up with something new and original to say each time the cycle repeated itself, the repetition didn't bother me. When I first came out of seminary I was a little afraid I would have preached all I had to say in about six weeks. Once I realized just how endlessly rich and diverting the Scriptures are, I relaxed and enjoyed the mixture of reprises and new insights whenever they came. Lovely. Read the whole article here.